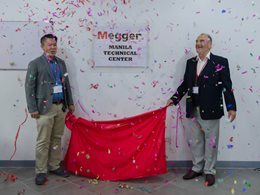 Megger proudly announces that our first technical support office in South East and North Asia was formally inaugurated in Makati, Phiippines in August 28, 2017. The Megger Representative Office which has been in existence since August 2013 will continue to provide the following services. • Technical training and hands-on in the area of protection and transformer testing. • Inform and guide customers of any product software and firmware updates. • Write application notes/guides based on actual field experiences with customers. • Troubleshoot reported unit failures and recommend how to fix it either local or through factory. • Undertake local repairs depending on the condition of failure. We shall endeavour to enhance our after-sales support including repairs in key products such as relay protection as part of our commitment to customer service.